Just returned from a fabulous trip to Thailand. Everything was great the hotels, golf courses and transfers. Organisation by Golfasian of every aspect was second to none – the greatest compliment I can pay is that all we had to do was turn and enjoy ourselves everything else taken care of. Would have no hesitation using Golfasian again or indeed recommending you to others. Please pass on our thanks to any other staff members involved in what was a memorable holiday. We would like to thank you very much for the perfect organization of our golf vacations. Everything went well, transportations always in time, drivers polite and friendly and most of the golf courses interesting to play. We will certainly not hesitate to contact you again should we decide to spend our holidays in Asia. Our friends were also impressed by your services and said in case the travel again to Asia will also contact you. Anyway we will be pleased to recommend Golfasian whenever we have the occasion. All the best to you and we hope that we can travel somewhere to Asia next year. I just wanted to touch base with you to say how happy we were with our recent trip to Bangkok and Pattaya. We had 24 golfers, who all arrived at different times with different itineraries. Your staff were very patient with them, especially when one didn’t meet his transfer at Bangkok. Your staff contacted us very quickly to find out if there was an issue and we tracked him down to the Park Plaza on Soi 18. All good. There were 2 groups of golfers who did golf and accommodation add ons prior to our main tour. All their transfers, golf and accommodation went off with no problem. We were all impressed with our drivers in Pattaya. Wicharn, Rocky and Moo were all excellent. They were early every day, had our bags loaded and then checked with me prior to leaving to make sure everything was ok. There was water on the buses for us before and after golf every day, and nothing was too much problem for them. Each night before they left, they confirmed the departure time for the following day, and everything ran like clockwork. These 3 all deserve a big pat on the back for the excellent work they did. We couldn’t be happier with the service we received from GolfAsian. We will definitely be booking through your company again soon. I can’t thank you enough for the awesome organisation of our trip to Hua Hin. To be honest with you when I finalised the numbers of the ladies that signed up for this trip I was a bit nervous and wondered if this could work and if it is possible to please all 28 of them! I can now say and with a lot of relief that you pulled it off and in great style. You and your team have done an amazing job and I still smile when I reminisce about it; from the moment we were picked up at Bangkok airport till the moment we were dropped off! The attention to details was incredible and the cherry on top of the cake was the personalised bibs that the caddies wore every time they greeted us upon arrival to the golf courses! Also I must say that the lovely trophies that you provided were beautiful as they represent lovely Thailand, well done! All the ladies were extremely impressed and pleased by the trip and I can assure you that you will be hearing from a lot of them soon who are already talking about coming back to Hua Hin with their husbands, me included! Once again Khop Khun Kha!!! Thank you so much for your mail! I have been on a number of golf holidays with different tour operators, but my stay in Bangkok last December was really the best! I was tremendously impressed with everyone at Golfasian. Bank who put my trip together, the driver who was really great. I also had the pleasure of meeting with AJ and Richard, who joined me for golf and also recommended some great places to go for drinks and dinner in Bangkok. They are really great guys! This was my first trip to Bangkok, and even before I had left for home, I did decide to come back to play some more golf again very soon. On the recommendation of Richard and AJ I booked one week in Pattaya followed by a week in Bangkok, going there in just about 2 weeks from now. Really look forward to leaving the bitterly cold weather in Sweden for the warmth and sun in Thailand. Mark, I was so impressed by everybody at Golfasian, your kindness, service and professionalism is truly outstanding, you must be the best! Just a quick note to thank you for arranging an amazing trip. Was exceptionally well organised and you and your team were really professional. Vietnam was awesome – we loved it. Next year we will be back for more. Maybe we try another country like Indonesia (Jakarta and Bali) or maybe you can recommend a 1 week trip there around a similar price range. Thanks again – it was a pleasure to work with you. Mark, AJ and the team and drivers, I would like to thank you for an excellent organised trip away for a month. Personally I had not one single issue with the trip from the excellent drivers and logistics team who were 1st class to the selection of courses played. It was great meeting and playing with Mark and AJ in Bangkok and Pattaya who did an admirable job. Thoroughly enjoyed and would recommend highly to anyone visiting Asia and playing golf. Once again thank you for your services for people who enjoy the game as much as I do and have a great passion for customer service and enjoyment and again please forward this to AJ in Bangkok and Mark in Pattaya as a personal. Thank you. staying at the Amari, Pattaya. Used Golfasian for golf today at Burapha GC. The service was excellent, using them again tmrw. Thank to everyone for the professional service. Just want to thankyou / Golfasian for the great hosting you supplied our group in Hua Hin last week. All the boys thoroughly enjoyed every aspect of the trip and the service Golfasian supplied was first class. From the outset you were extremely efficient in answering all our queries in a promp and professional manner. Your drivers were very welcoming and extremely polite and as a whole our group were extremely grateful for the whole service you provided. Hua Hin was great / The golf courses are nothing short of breathtaking to play and we were very happy with our stay at the Laksasubha hotel . The boys are already looking forward to 2018 and we cant wait to again use the Golfasian services to help us with our trip again next year. I’m now back in Australia after returning from our holiday. I wanted to personally thank you for your assistance on our golfing trip. You and your colleagues were excellent to deal with and made our trip very successful and without any problems. We appreciated your good work very much. Thank you very much for your great support in making our holiday in Hua Hin a very memorable experience. The organization of transfers, hotel and golf rounds was absolutely perfect and my family and I enjoyed every minute. A special thanks to Callum for looking after me at the golf rounds with great company as in the past years. I will happily recommend GolfAsian to my friends and contacts and look forward to seeing you again next year. 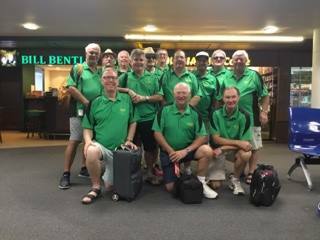 Our group arrived back in Perth Monday morning after our six games of golf over eight days visiting Chang Mai. All the bookings and arrangements went very well and again we complement you on your staff and their efficiency and good-standing with the hotel and various golf course people they have to deal with. We are considering Bali or Hua Hin next year. The number of courses in and around Hua Hin are extensive – not so sure about Bali. What do you think? The golf courses, except for Summit are excellent, the caddies are top class. Le Meridien is good except for the comment about noisy children. Weather was good in July even though we expected some rain. Entire staff answered promptly pre-booking and travel questions. Complete and agreed to agenda was at hotel, along with golf vouchers. Pick up times were prompt; return trips comfortable. Drivers were safety minded and courteous. All courses on agenda were maintained well; caddies and facilities were pleasant and helpful. Stadium and Water Courses at Siam were fantastic. St. Andrews was challenging. Loved all of them. Good service. Eg: Your Head Office staff, Miss Meya was very efficient and fast to act on my questions and very satisfied with her service. Your rep at Hua Hin, Mr Sombat. He is friendly and lot of local knowledge. On our last day, he waited the train together with us knowing that the train was delay for almost an hour. This really touchrd ours hearts. We were very happy with his service. I love playing golf in Asia and I played some courses I had not played before. Golfasian as usual takes all the uncertainty out of the organisation. To date I have always been happy with Golfasian. The staff I have been in contact with have always been very helpful. A stress free holiday and golf experience. We liked all the courses we played at although some were more favourable than others particularly with the ladies in our group as at some courses the holes were very long for lady players. Marriott, Hua Hin. The hotel was fantastic, the pool was excellent and bigger than we expected. The rooms were very clean and spacious enough for our requuirements. We appreciated the way GolfAsian provided a seamless trip from the time of the booking to our return to home. Our trip was very well organised, your drivers are very professional, always on time and very polite and helpful. Playing excellent courses with good friends. No hassles in getting to and from the courses, easy check-ins and great caddies. Also the pleasure of being in Thailand with it’s friendly people, interesting culture and great food. We loved to have booked with your origination. We are thinking about a combined golf and tour trip to Vietnam (for a reasonable price) next year. Maybe you have a suggestion for the best time and a good combination of golf and other interesting things in Vietnam. I have been using Golfasian for a good few years now when I need golf in other parts of Thailand and SE-Asia. I loved the planning, service and patience from your side. The driver that took care of us was very friendly despite the bad weather and traffic. Vietnam Golf & Country Club – buffalo grass in the rough made it much less enjoyable. Caddies were fantastic. Tan Son Nhat Golf Club – light buffet lunch was fantastic after the golf game. Facilities were excellent. Caddies were okay. Long Thanh Golf Club & Residential Estate – Lovely course. Staff and Caddies were fantastic. I loved everything. Specially the Support provided and professionalism of Emmy. An Excellent experience. Looking forward to book with Golfasian again and again. All the arrangements were easy and well handled. Everything was on time. Everything went smoothly, at no stage was I concerned about the organisation. Not sure I would change anything. The gap between games was good, the timing of the games suited our itinerary. Playing on the same day as we shifted hotels didn’t cause any problems. Great coordination by Ms Trang and Ms Sophie, good hotels, good golf and good locations. Never missed a single golf game (18 rounds) despite numerous minor health issues my wife and I had. Hua Hin Centara Grand GolfAsian staff were great, as was Mr. Truong in Danang – he’s a tremendous ambassador for your company. Even had dinner out one night with him and his family, 2nd year in a row!! As a group we would like to extend our thanks to Ohm & his crew. Once again they have proven that a golf tour in Thailand is not only enjoyable but an experience. We will be back again later this year. We didn’t encounter any problems at all. Everything went as smooth as clockwork. GREAT JOB. Golfasian did 100% what we requested – we could not ask for more. Black mountain excellent awesome course and great facilities fantastic service Banyan excellent, another fantastic course with very good facilities Springfield royal very good maybe not to the standard of the above but a bit more difficult than the other two. again good facilities a bit older as well still very enjoyable. Thank you and we really appreciate the service that Thanita provided in organising our bookings and schedule. it made the whole trip very enjoyable. I will enthusiastically be recommending you business to others when I can thanks again. Myself and friends have used Golfasian for a number of years, we have always received full satisfaction. Great service, no delays, staff always want to please the customer. No complaints. The combination of good golf courses, great food and a different cultural experience Each year we (4) do a trip of a lifetime tour (Masters, The Open, NZ North IsI) and we all agreed the Hau Hin was up to this standard. Good to play the lesser courses to get the area in perspective. Emmy did a great job Drivers were prompt & efficient Planning and execution were seemless. I have yet to be disappointed in your service for booking my golf trips to Thailand, and I hope that we continue our relationship. Again, I continuously book through your company because of Mr. Sirisiwad. Again, he goes beyond just providing transportation to and from the golf courses and treats each of us like family. I will continue doing business with your company, as long as, you have employees such as Montri on your staff. Total ease of the trip – from bookings of hotels to pick up for golf and transfers – well done. Our driver Putu was incredible. Made the experience even better than we could have expected. The golf was incredible, both courses were amazing and the hotel was perfect for our needs. Bagus was great about helping us to book our package. Understanding that our communication access was slightly hampered by being on vacation he provided us with many easy to use alternatives for communicating and planning for our vacation. Thanks for organising a great trip. We had a party of 6 (3 golfers) and all thoroughly enjoyed it. Everything went exactly as planned by GolfAsian. Ian organised a couple of extra clubs and Tuang organised an extra day of golf at short notice. 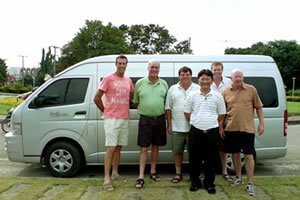 The drivers were always there at the appointed times and were friendly and helpful – well done to the golf Asian team. Our driver Mr Moo was great, always on time and flexible with start times, assisted with check in’s at the courses, always arranged refreshments for the group and looked after our gear during golf and over night as required. This is our fourth year with Golfasian and they have delivered a great golfing holiday / experience every year. Thank you again! We look forward to booking our next trip with Golfasian soon. Everything was exceptional and I will definitely book again. I hereby want to express my gratefulness for the hospitality, care and service my clients and I have received from your staff during the 2 weeks in Thailand. Special thanks go to Khun A, Khun Aey and all the drivers. They provided a great portion to make this goffriends golfweeks enjoyable for our customers and a success for golffriends.com. It is and was always a pleasure for me to have Golfasian as a very reliable golf agency in the last couple of years. I am sure you will continue with this high standard. Kop khun krap. Cannot thank you enough for the trip. Everything was unbelievably great. All the lads had a great time. The courses were fantastic. Royal Gem (WOW and managed to birdie Rae’s Creek). Big thank you for recommending Riverdale (what a course) and would like to recommend to any of your clients to play Nikanti (young course but what a challenge). All of the drivers were friendly and helpful. Your organisation is extremely professional and will definitely be booking with you again. Once again a BIG THANK YOU. I have filled out the on line evaluation form but just want to add my personal thanks for your efforts in putting our tour together. Everything went like clockwork so thanks heaps. Every course was good value and Danang GC was my favourite as the greens were mint. We all loved the locker set up. The guides were great as were the hotels. I have received over whelming compliments from the guys but of course this is all your work. As long as I am fit & healthy we will look at Thailand in. Sitting at the airport going home and wanted to let you know the trip was fantastic as usual this is about the 6th handled by yourselves and it gets better every time. Our driver Rocky was “the best” very professional, courteous and a real font of information on local restaurants and a bloody good guy will ask for him next time. Will be in touch in the near future with our next adventure. Thanks very much for organising our trip to Thailand. Deb and I had a wonderfu l time which was greatly helped by the Golfasian staff in Hua Hin. My hole in one (like Laurie’s) was on the 6th hole at Springfield on Monday 26th Sept. I think the distance was about 135 yards and I used a 5 iron. Strangely, after playing golf for 50 years and never having a hole in one, this was my second in 7 weeks as I had one at Long Reef Golf Club here in Sydney (playing with Laurie & Ray) on 5th August. Very exciting but quite weird! Can you extend our thanks to the Golfasian staff in Hua Hin for their friendly efficiency. We look forward to returning to Hua Hin in the future. Playing the 6th at Springfield, 133 yards, I hit a 7 iron, 3 bounces and in the hole. My caddie was ecstatic, jumped on me , and nearly knocked me over. As a result of the hole in one we were given 2 free rounds vouchers. Playing with Neil 2 days later we were standing on the 6th tee,Neil said “another hole in one”and I said “no your turn” and Lo and behold in went his shot. As Neil said, his second in several weeks, and my second this year having one at my club, Long Reef, Sydney Northern Beaches in April, my third overall. Great trip, great staff and does not get better than staying at the Centara. I just wanted to write to you to report on our recent trip. The hotel in Kanchanaburi was fine, breakfast was average, but we just loved the town and the golf! Special mention to our driver Joe, who was an excellent young man. Unfortunately in Phuket we had heavy, heavy rain for about 4 days and some of the courses should have been closed they were so waterlogged. We played Katathani, which had some spectacular holes and a few just insane ones (17th – strangest golf hole we have ever seen). I thought Laguna was a terrific course with Loch Palm a little behind it. Red Mountain, as expected, was the highlight, with the entire group rating it probably Thailand’s finest course. The Lakes course at Blue Canyon was a bit disappointing, with the group unanimously rating it one of the weakest courses we have played in Asia. It’s a shame the whole course was not as strong as the 18th hole which stood out as the best on the course! The Amari was superb in every way and fitted our needs perfectly. The Manager there, Pierre, is absolutely amazing in setting the standard for his staff and did a wonderful job looking after our group. Thanks again for all your help, Golfasian again excelled and special mention to the driver who had to return to Blue Canyon to retrieve a golf bag that got left behind by one of our group. I am thinking of returning to Vietnam next year. I know Ba Na Hills is now open, but I thought I heard that a new course south of Hoi An was also due for opening and also a possible new 18 at Danang, can you verify this? Just wanted to say Thank you very much for all your help leading up to our wonderful two weeks in the Land of Smiles. All of the 25 clients and myself were very impressed with the great service of GolfAsian. I had great pleasure in dealing with you and I hope that we can continue this for the future for many years. I’ve arrived in beijing, but i would like to tell you, that everything was perfect..for sure i will turst in golfasian again. Please give thx to the driver Mr,shuei a rellay nice man..
Once again I thank you for arranging such a nice week for our group. Everything was perfect. Ekkie (is that how you spell it) was a great driver as well as very helpful sorting out Jacques problem on the late delivery of some shirts he had made. Of course there can only be one winner and that was me shooting a 74 gross at Thai Country Club on the last day. Once again thank you for the great week and here’s to November. Firstly I wanted to thank yourself/Mark and your team for a wonderful trip. The entire party had a great time, the courses were great and the support team was excellent. The groups already talking about going back! Secondly I was wondering if you are able to send through the invoice for Mr Chia King Hong again (as I have been having some email problems since last week). Again really appreciate the entire team at Golfasian and we’ll be back. I wanted to thank you so much for arranging great hotels and the tours for us in Thailand. The Dream Hotel was just fantastic and was definately the type of Hotel that Harvey and I appreciate. The tours you chose for us were fabulous, I was hesitant given I had just had major surgery, and wondered if I would even go on the tours. I definately would not have missed anyof them. THANKS SO MUCH! Jim I wanted to give you some feedback on the people who drove us, toured us etc. First of all, Chuli—she made our stay in Bangkok so memorable. Her command of the English language was very good and we could understand her fully. Not only that, but she was truly interested in us and was very social. She told us every little detail as we travelled to our tour, and she made sure she pointed out every little thing that she thought would interest us. SHE WAS AN ABSOLUTE GEM!!! She never stopped talking and we loved her to pieces. She taught us how to write our names in Thai, and wrote us the most beautiful card with a terrific message in it. On the flap she wrote "Please smile before opening". She does truly need to be rewarded for being an exceptional tour guide. She made your Company look terrific!!!! The driver, whose name escapes me, was also delightful-very polite, happy, very good driver, and as social as he could be given there was somewhat of a language barrier. A real gentleman. Arrived at the hotel long before he needed to, and waited so patiently, always smiling. Highly recommend both of these people. Then there was Jittima–she too was very social and tried very hard to give us as much information along the way as she could. Difficult to understand, but nonetheless a great little tour guide. She struggled with expressing some things, but tried so hard, and made a big effort to communicate. Jittima took pictures of us, made sure I was OK on stairs, just a real caring little lady. She had a very "warm" personality and we felt like we knew her for years! She too deserves to be acknowledged for her efforts, and would definately have her as my tour guide again. Overall Jim, the trip was fantastic, and we are looking to come back next year. We are planning on stopping on our way to India, so may be looking to you to provide great accomodation and tours again at that time.We definately will have much more time next year to stay longer. This year it was the USA, Guatemala, then Thailand, and our holidays were pretty much used up. We were sorry we didn’t get a chance to have coffee with you as we had planned—kind of forgot I guess.—but maybe next time. We had a blast at the Siam Paragon, Robinsons down from our hotel, MBK(not sure I have that right) shopping centre, night markets, —wish we were back there! Thanks so much for the effort you and your group put into making our flights so easy, our tours so enjoyable and our trip so positive. Hi Jim, A short note to say thanks for providing us a great vacation. Your arrangements were first class, your drivers were prompt without exception, as well as friendly and professional. The golf courses were great and we were only sorry we could not make the final day of golf due to too much partying the night before ! And to think when we landed at Bangkok Thai Customs "shafted" us for $539 and we were ready to get on the plane and go straight back home. We are glad we didn’t and stayed to have a great time. Again thanks to you and your staff and we will definitely take advantage of your services again. We highly recommend anyone considering a golfing vacation to use GolfAsian, they wont be disappointed and neither were we. Yesterday I got from my/our customer Mrs. Grüter a report about their recent holidays in Vietnam. 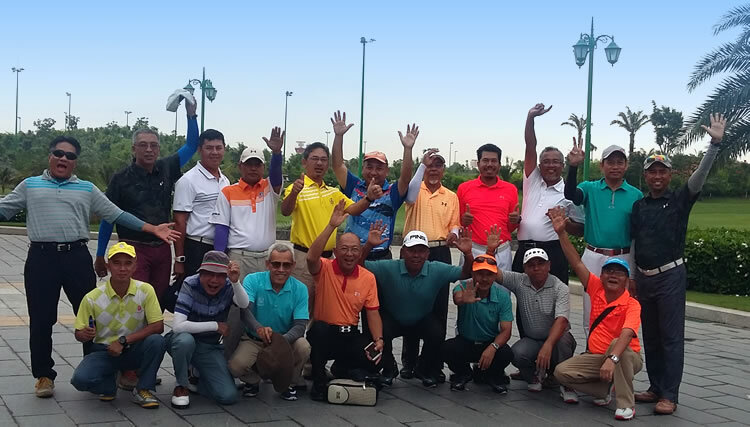 The group enjoyed the trip very much, appreciated the wonderful Golf courses, was satisfied with the Hotels – especially the one in Phan Thiet. They liked very much the german speaking guides and they welcomed the fast reaction after the amendment with the transfer to the airport. 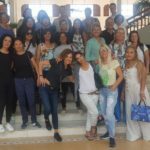 All in all, the groupe was very positive about their stay and the organization by your company. Hope to work together with you also in the future (even if you would be boss of the Chiang Mai-operations!). Just wanted to let you know that everything went off without a hitch. We all got back to Honolulu on Sunday morning safe and sound. My group was really happy with the golf courses and promptness of your driver. Already they are talking about a return trip some where in the future. Of course we know how hard it is to get all schedules all together so that they coincide. Now couple are talking about another Thailand golf outing. Hope you are keeping well, thanks for your recent E-mail. As for myself I am just recovering from 2 wonderful weeks golf in the Pattaya area , organised by Golf Asian. I was part of the group of 16 members from Athenry Golf Club. Athenry, Co Galway. Ireland. This trip was organised by Mr John Greaney through your good self. We played some wonderfull courses on this trip like Laem Chabang, Burapha, Siam, etc. However one small problem we encountered at customs at Bangkok Airport upset some of our travelling party a little bit. Overall a wonderful golfing trip, this was fifth time in the Pattaya area , am looking forward to my next trip if not next year certainly in 2 years time. 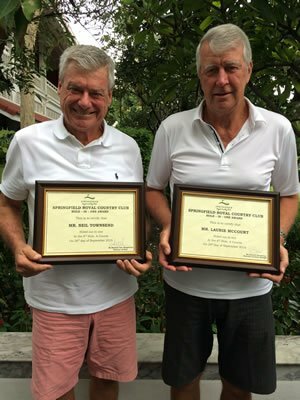 Thank you for all of the assistance given during our golf day while in Bangkok. The level of service provided by everyone, from the initial enquiry through to the facilitation during the day was outstanding. It was a pity I didn’t play as well as the course deserved. I cannot compliment your company enough on how it goes about its business and I will be recommending your services to the golfing fraternity within the AFP and will use your services the next time I travel to play golf in Asia. just a few words to thank you both for your kind personal hospitality, and for the efficient way in which my golf trip was organised. The courses Jim selected around Bangkok were exceptional, and I thouroughly enjoyed them, as well as Mark’s company on one of them! Whilst in Thailand, I made several last minute changes to my golf schedule, and Jim was able to quickly accomodate my requests with no problem; a truly personalised service! All pick up times were respected punctually, and drivers were polite, efficient and helpful. I will certainly use your company for any future visits, and will strongly recommend to any friends travelling to Asia to do likewise. Jim, I want to thank you for a good set of courses and the transportation arrangements. I have to say though that the greens were murderously fast! On another very positive note, the Golf Asia driver, Ak e , was superb. He anticipated our requirements, was always on time, was knowledgeable, and just an all around great guy. He communicated well, was polite, and enormously helpful. In fact, when he found the McKinney’s camera in his van after dropping us off at the Sheraton Sukhumvit, he immediately called me to let me know he had found it and then delivered it to the hotel the next day. Thanks for organising our golf today at The Vintage Club. We really enjoyed it. After we had sorted out our games we both played to our handicaps on the back nine. The transport was perfect and we had plenty of time to get ready. Hoping to have another holiday next year in Thailand – if we have any money left! I’m not sure if I mentioned this after the last trip but we had an absolutely fabulous time and our driver/guide Montri was excellent..
We have been recomending your agency to all our golfing friends here and are assured to book via Golf Asian whenever planning a golf trip. Nichigo: that was a good way to start our golf tour with this very nice course. A little disappointment was that no other food but industrial noodles were available on the course (don’t they produce fruits in Thailand?). Also the club house is not at par with what we are used to in Thailand, although acceptable. Rachaburi Royal: Very nice course, both challenging and pleasant. It does deserves you “hidden gem” statement. The club house facilities were closed when we finished the game which was not a problem since we had to drive to Hua Hin anyway but would be a concern otherwise. Black Mountain: The design of the course is challenging and the maintenance perfect. Greens were just impossible to play for the bogie players we are (too steep and fast). The caddies were great (mine – Bee – had an amazing English for example). The food & drink booths are strangely located (inaccessible if you walk actually). Overall I found the place sad with not a single flower on the course (an achievement and somewhat a shame in Thailand). Said otherwise the golfing challenge not compensated by the environment. Certainly a good championship course but in the end, it was not fun . Banyan: That was our preferred, some kind of perfect compromise between the two previous: great design and infrastructure, challenging but playable, extremely charming with a real signature hole (#15), well managed (no slow play unlike other places we experienced in the past like Lake View). My only reserve is that carts are mandatory whereas we prefer to walk but which the caddies let us do on the course anyway so it is not an issue. I cheerfully recommend the place. The hotels were just perfect, your staff excellent also we had a very good time. Note there was a glitch with the pick-up to the airport but khun Ake could make it in time in the end, so your team reacted very well when I called to worry about the delay. Snow and ice in Paris this morning. Back to real life ! We just wanted to say thank you for helping Ron and Debb put together an amazing trip. We had a great time. Also, our guides really helped. Took did a good job of getting to and from places, being there to help and in general making our life easy. Cha is a great person and an exceptional guide. He helped us understand the places that we went to, the Thai culture, made our lives easier, showed incredible concern for our well being and above all became a friend to all of us. The trip was a true success (our clubs even made it back without any problems). 2) More importantly I had my first hole in one today on the third hole at Red Mountain!!!!!!! The other holes I played mediocre to not great what does that matter??? The club is going to send the certificate confirming the hole in one to Golf Asian to forward on to me. The club served a bottle of champagne which was very nice of them. We had a few days of good golf in ChiangMai. I must agree with you that ChiangMai Highlands is a great course which I will definitely recommend to friends. Royal ChiangMai was good in layout but the fairways are not in very good shape, which I will give a miss the next time around. Mae Jo was ok with beautiful fruit trees but greens were very slow. The driver was a nice guy, polite and punctual ( we gave him a generous tip). Royal Princess hotel is great for convenience. Definitely will stay there again. My friends and I are very happy with your service and response to our needs. Please accept our thanks and convey to Bee the same for everything that you have done to make our stay in ChiangMai enjoyable. Will surely use your service, and recommend you to our friends, the next time we golf in Thailand (something we do quite frequently). In behalf of my group, I want to thank you for all the help extended to us in making this past trip a success. Although we ran into a few snags, it was a first time experience for all 13 of us and the pluses more than made up for the minuses during the trip. Thank God for the Massage Parlours closeby because we all needed it after each day of golf. We had excellent restaurant selections and we actually didn’t need the big shopping Malls since the street venders gave us all the bargains needed. As you quoted, exchange booths were all over the place so there were no problems with money. And yes, its easier to take the SkyTrain than a taxi on Sukhumvit in the evening. I swear the stoplights are timed for 5 minutes in each direction. My personal thanks go to Rocky and Thon for their excellent service. Rocky gave his best especially when he had to apologize for the mixup at Alpine GC for the 4 instead of 3 tee times and the added cost for the cart. He was always on top of everything and we sure needed him for the communication part. Your Vans are in top shape and the ride were very comfortable. It was an experience riding Shotgun with Thon. The biggest drawback was not allowing the 90 degree cart allowance for the fairways at Summit Windmill and Alpine. The Marshals at Alpine finally had to drive several players themselves just to speed up play. If we knew ahead of time, 4 in my group wouldn’t have made the trip or we would’ve selected other Courses to play. The humidity there can be very draining for the old folks. These people are the ones that can travel more often and don’t worry too much about the cost as long as the trip is made comfortable for them. All the Caddies were good at their job and really knew how to read the greens. So good that they even tried to improve lies and disregarding drops after water hazards/OB’s (ha ha). I think they thought we were just typical tourists and out to just have fun. From the 2nd day on I had to tell them at the start that the group is playing tournament format for MONEY and needs to play under USGA rules. Otherwise, they were fun and inquisitive. Most thought I was a "Thai Man". Anyway Jim, it was a pleasant experience for me. You can be sure I’ll contact you if I plan to bring a group to any of the Asian countries your Company services. I enjoyed meeting you at the Hotel and hope to see you again in the near future. You’re a great Asset to GolfAsian and I hope they realized that. Thanks for taking care of Marion’s group in Pattaya so well, she was impressed with you and your set up. I realise you are probably on your way back from Spain at the moment and I await your suggestion for next years trip. just a quick one to say thank you very much for all your assistance. the Bangkok golf courses where all great and everything was exactly as you said. will be in touch in for another trip! Thanks for your arrangement. It was my great experience for my golf holiday via your goodself. Everything is fantastic. The transportation arrangement is so great and comfortable. My next golf holiday will arrange to Hau Hin, and we contact to you soonest. Just returned from a golf trip in Pattaya with the Copley party. Had a great time! Looking to go again in early March. Thank you for organising a fantastic trip to Thailand for me and my husband. All the arrangements went like clockwork and even the weather was kind to us. Your staff, Aek in Bangkok and Noy in Hua Hin were very good, always ready with a smile, and the two private tour guides you arranged were both excellent. The hotels you selected for us suited us perfectly. Yaang Come Village, Chiang Mai – a lovely oasis of tranquillity yet right in the middle of town. Fantastic staff. Highly recommended. Wora Bura Resort, Hua Hin – lovely elegant resort with lots of character and great facilities. Rather far from town but good hotel shuttle service. We enjoyed all the golf courses we played, some better than others obviously. We were very fortunate that, with the exception of Palm Hills where we were teamed up with another player, we were able to play in a two-ball so enjoyed fairly quick rounds. This was our order of preference. Black Mountain Golf Club – by far the best course that we played. Stunning well designed layout in a fantastic setting. Although a very new course it was in great condition. Springfield Village Golf Club – beautiful layout and excellent facilities. Very disinterested caddies rather spoilt the experience. Palm Hills- Fairways rather scrappy with invasive grasses. If I had one criticism of the itinerary it would be that we left Chiang Mai too late. Our flight only left Chiang Mai at 14.40 with the result that we only arrived at our hotel in Hua Hin after 20.00. All in all a memorable first trip to Thailand. We will certainly have no hesitation in recommending your company. We’re all safely back from our memorable golf tour. On behalf of all of us I’d like to thank you and your staff for the throughly professional way in which our vacation was handled. You dealt with our many requests for changes and tweakings to the party and itinerary with patience and aplomb. Rocky was an excellent guide/driver who never failed to impress with local knowledge and suggestions for off-course entertainment. We were blessed with excellent weather and, most importantly, a good time was had by all. Please pass on our thanks to your staff. Jim, Many thanks for a great trip. Thank you also for your patience in dealing with all the enquiries we had. We had a great time. Everything Golf Asian did was perfect and exceeded expectations. Now… how about Vietnam. Can we start the ball rolling on a quote for Vietnam same time next year. Lets say: another top 5 courses like the ones we just played etc. Assume we will pick our own accommodation. What did we learn from our last trip. Would look at options for staying on a course, or a golf resort so we can practice before and after games and travel. Can you set the ball rolling with a quote for a recommended package. PS. Can you also come up with a suggestion for a 5 course trip to Pattaya. Myself and my wife Punam are very thankful to you for whole hearted cooperation by your organisation and very humble and polite staffs, specifically, Ms Bee, Ms Took, Ms Ketty. Your cooperation has helped us to make our trip memorable. I am going to feed the customer feedback form. Thank you very much for all your help with arranging our holiday. We had a wonderful time and everything was just great. We even managed to do a little shopping thanks to your staff in Phuket but I didnt see them again to thank them for their efforts. Anyway one day we will hopefully return for more golf. As always the your articles and news letters are amazing and this one is outstanding, have alreada forwarded the same top my data base of golfers. First of all may I thank you, and all your personnel in Phuket, for a wonderful experience in Thailand. 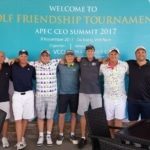 All of the people on tour said it was the best golfing trip they had ever been on and would recommend Golf Asian to anybody. We are most grateful for your excellent assistance. We managed to get seats on the flight to Melbourne, as it was our preferred destination. Once again our sincere thanks for a wonderful trip. I wasn`t sure if I should go on this trip or not, but my wife insisted. I`ll tell you it was one of the best trips I ever had. We golfed 14 days out of the 23 days we were there. The cources were great. The caddies were remarkable. They know how to read a green. Everyone there was so friendly,didn`t matter where you went . The food was the best,didn`t matter where you ate. We went on some fantastic tours. All and all I loved the golfing. Guess what, I`m going again this year. Our group went through Golfasian Co. Ltd and I would have to give them a 10 out of 10 rating. Remarkable service. For the cost cheaper than most of my other trips. Just returned last night from Bangkok. Thank you so much for organising our holiday. We were very impressed with the golf courses especially Thai and Alpine. They were both beautiful. Rocky did a great job driving us around, the hotel was excellent and we were very happy. We would definitely use Golf Asian again to organise any golfing holidays. I just wanted to say (somewhat belatedly) what a good time Richard and I had in Bangkok. Everything ran smoothly, your driver was excellent and the courses were good (especially the Thai Country Club). A short note to thank you and your team for organising such a great trip. We all had a blast and I am sure that yo will be hearing from some of us again. Please pass on our thanks to the golfasian team. John and I have returned from Pattaya and thought that it was prudent to let you know how things went . We were very impressed with the service provided by your local representative in Pattaya. Montri Sirisawad was always on time for pick up times. He provided some local knowledge on the course we played and he was very helpful throughout our entire stay in Pattaya. He is an asset to your organisation. As for the courses we selected; they were superbly manicured and well maintained, with the exception of Burapha. This course was in need of a good mowing as the length of grass on the fairways and rough, was too long. Apart from that, we enjoyed the five courses immensely and we look forward to booking five new courses on our trip for next year. Thanks for a pleasant golfing experience. Just a personal note to say thanks for the smooth running of our trip this year, and especially the changes to courses that we had. The guys would especially like to say how well AKE looked after us with his prompt pickup and returns and general friendship. We will highly recommend your company to any persons wishing to play golf in Thailand at any time in the near future. Looking forward to using your services in the coming years. Please feel free to use myself as reference for other golfers looking to use your services. Thank you so much for the wonderful golf package that you put together for me. Our holiday in Pattaya was awesome. Our representative Montri did an amazing job not only driving us to and from our hotel, but gave us great information on the golf courses as well as local info. He was always on time and never rushed us, again he did a wonderful job. I look fore ward to booking with you again in for our next Thailand golf vacation. I will recommend you company to anyone wanting to book a golf holiday in Thailand. Again you and Montri did a fantastic job. This for Mark, MD of GolfAsian. I have just been and now back from the most memorable, perfect and wonderful golf holiday that my boyfriend and I have ever experienced – thanks to GolfAsian.com!! This is the first time I booked with Golfasian and with immediate effect, I will highly recommend it to my golf friends. (2) From landing in Bangkok to leaving bangkok – it was just amazing! Yoon picked us up and sent us direct to Lakewood. (4) As his boss, it tells us a lot about you too when we requested for Yoon to drive us around for our whole trip and you agreed without talking to us and making a big fuss about our request. It shows that you are a good boss to Yoon. (5) Yoon is a GEM! He speaks great english for a Thai and very knowledgeable and articulate in his general knowledge He was always punctual, courteous patient and friendly. All in all, Mark, we must thank you for a well organised, comfortable, luxurious (we are easy to please) and exciting (courses of course – the one birdie at the Best ocean course Par 3 was enough for me to have enjoyed the 72 holes) holiday. I must say it was ONE of the MOST enjoyable holiday I have ever had with my better half. He too really enjoyed the holiday and the conversations he had with Yoon about the Thai culture and places of interest etc. Just a note to thank your organization for a fine tour, which certainly surpassed all of our expectations. The organization and selection of courses was fantastic, and this was enhanced by the superb service we received from Montri. This man is a great asset to your organization with his friendly efficient manner making every day all the more enjoyable. Every part of out tour was organized to the finest detail, we were constantly meet by friendly people who obviously respect your organization. We are keen to return next year and will be in touch in due course but in the meantime will pass on your details to others who express an interest in visiting Thailand in the future. Yim… We have just arrived back in Australia from the very enjoyable golf trip that you arranged for us. We were very impressed – the courses and were excellent and the caddies happy and helpful The accommodation and the staff at the Radisson were first class. Your drivers (especially Rocky) were very courteous and obliging , nothing being too much trouble for them. We were also very thankful to Rocky and and the hotel staff for the help and concern when Bryan was sick and had to go to Hospital. I’m just writing to you to pass on my thanks to the boys who ferried me around last week in Pattaya and Bangkok, Montri and Jum. Also thanks for letting Jum drive me to and from the course in the "boss’s" Lexus in Bangkok, I felt spoilt. His ability to organize "better" caddies for me was appreciated. I’m looking forward to October/November when I’ll be back and hopefully bringing some colleagues. One of the Swedish guys I was grouped with is celebrating his 60th birthday in Pattaya arounfd the end of October or early November and he’s invited me to join teh party. He nicknamed me "Aussie Shark" after I hit a couple of 300 yard plus drives and got on a couple of the par 5’s at Phoenix CC in 2. What my coach back in Australia (John Tolhurst) had been telling me about using a driver finally clicked and the ball kept disappearing in the distance. My caddie at Muang Kaeow challenged me to drive the green on the 16th into the wind. I hit the green on the full but unfortunately the ball didn’t stick and I finished in the back of the left greenside bunker and only finishe with a par..
I’d also like to thank Jim and the back-office team for their seamless organization. Thank you, and Mark, for the very generous credit you have afforded to me……I do need to ask for a quotation for a Golf Trip in June, to Pattaya , and it’s for 4 of us. I will be in touch over the next week, or so. Back home now. It was a fantastic week and all of the party had a great time. I have been very busy this past week since my return home, and haven’t had a chance to respond earlier. Overall, we were very pleased with the trip and arrangements. The golf courses we played were of very good quality and we enjoyed playing all of them. Red Mountain in particular was quite spectacular. the Bangkok Marriott and the Wora Bora were both excellent facilities. I’d highly recommend either of these to anyone traveling to Thailand. we were not overly pleased with the Felix River Inn. I understand it may be the best facility in Kanchanaburi, but it was not up to the quality that we expected. I know it was a 4 star (vs the others being 5 star hotels). The Allamanda Laguna hotel was an ok facility. Our driver (Montri) for Bangkok / Kanchanaburi / Hua Hin was a joy to be around. We were extremely pleased with everything he did for us. The driver in Phuket (not sure of his name – Pla?) was a good driver. Thanks for the help of you and your staff. We greatly enjoyed our trip. I meant to write to you before but for reasons that will become apparent I could not get it done until now. My apologies. First of all and most importantly, I want to thank you and all at Golf Asian for looking after everything so well. Every single transfer and golf booking and my hotel bookings all went ahead without a single hitch except for one minor glitch; my round at Gassan Khuntan was booked as planned but they had no record of having booked a prepaid cart for me. This was all sorted out while I played the back nine so no real problems. Overall I was less impressed with Hua Hin than Chiang Mai. The weather up north was kinder, Hua Hin being very hot and steamy by comparison; and although the golf courses in both locations were absolutely excellent and well looked after, I prefer being in the heart of a city to being in a purpose built resort outside the town. The only drawback in Chiang Mai was that on some golf courses the rounds were extremely slow, usually because Asian players prefer to play at a slower speed than most Europeans and are not good about letting faster players through. This was particularly a problem at Green Valley, a lovely course but hopelessly badly organised as far as bookings are concerned. Both times when I turned up in good time for my allotted tee time there were queues at the first tee and the starter was adamant that there was no way of starting at a different hole because there was no room at any of the other holes to move more quickly. As a result I was over half an hour late off the tee and had to play a six hour round. It was less of a problem at Lamphun but there were still slow players holding up play even when I was started at the 10th; there was some delay at Mae Jo even though I was started at the 10th; but by contrast at Highlands they did all they could to keep play moving and I now rate the course as equal best in the Chiang Mai area along with Royal Chiang Mai, where I was always got off the tee swiftly and efficiently and had excellent rounds. This was in part due to the quality of the caddies and the starting staff. Apart from Royal Chiang Maii and Highlands the caddy quality was at least variable. The girls were always enthusiastic and good fun, great at finding your ball but less good at judging distances and the line of putts; and the standard of spoken English was not as good as in previous years. But in context these are minor quibbles about what was as expected a superb golfing experience. My drivers were all extremely good and went out of their way to be helpful. The Royal Princess Hotel was extremely attentive and all the staff were outstandingly efficient, courteous and helpful. Overall it was a memorably good holiday and I will return next year for certain. Thank you once again for making it all happen for me. St Andrews. 8/10. Good course, well worth playing. Siam. 4/10. It may well be in great condition . Imperial Lakes. 6/10. Ok but nothing exceptional. Springfield.9/10. Best course of the lot. Just what we wanted. Hard Rock. Well located. Good rooms and facilities. 7/10. Elephant tour was good and worked out for us in the end. Everyone else, including all the drivers, were pretty well punctual and courteous and I have nothing bad to say about any of them. Thank you for your help in putting this all together. It was a most successful trip from our perspective and I would be most happy to recommend your company. it was a huge pleasure to travel with our friend Herbert Peer especially under your perfect "Asiangolf" organisation. Attached see all our caddies we had during two weeks in Thailand. after being back from Thailand I feel obliged to thank you for your efforts and services in connection with our thailand trip. All was have been offered and organized by you met fully our expectations. The Sheraton recommendation was excellent und we were very satisfied with this hotel. Even more some of us can easily imaging visiting this location again in the forthcoming years. In additon the " Best of Bangkok Tour" was very interesting, the german speaking guide "Kit" great and helpful and can highly be recommended to all german tourists. When ever we intend to visit Thailand again, please be assured that then we will contact you for further excellent services. really enjoyed themselves and loved it. The sightseeing tours and the golf were great. I think they may want to return next year. We are in Singapore now and will be flying back to Bangkok tomorrow. Thank you for your e-mail – I am now back in Delhi where it is quite cold. So, I have some problems in adapting after the nice and warm weather of Thailand and Cambodia. First of all, I would like to thank you and your team for the good organisation of the trip. I think that everything, from the first contact until the my departure went as planned and all the Golfasian staff I had contact with did a good job. In general, we were also pleased with our trip. For Cambodia, our overall impression was quite good – everything went as planned. Kirimaya: wonderful environment but a bit boring – Cambodia: not as great as Kirimaya in terms of environment and luxury, but a nice place to stay and to play some golf. Overall, it was a nice holiday. Thank you once again for the organisation and I am pretty sure, living in the neighbourhood, that you will soon hear from us again to organise us another golf-escape. Thanks for the quick response. I asked Finance to expedite the wire transfer so you should see it in 1-2 days. The event went very well. The caddies really added a lot, as you said. I’m personally very appreciative of your personal touch and the fact that you trusted me to settle our affairs when I returned to California. I won’t forget that. Should I ever need help with an event like this or with a personal golf outing, I won’t hesitate to contact you at Golfasian. Good Show, my friend. Once again, my recent trip to golf in Pattaya was fabulous and a huge "
Thanks " for all your efforts…….golf courses were great as always, accomodations terrific, and transportation the best. So good, that I’m going to come again in March….. Thank you – I hope Jim enjoys the gift of my latest literary endeavour which was written for charity. We raised Pounds 8500 in total which was very pleasing. We are in NZ at present, not playing much golf, but visiting relatives who emmigrated here three decades ago. While in Bangkok we played Alpine which was outstanding and we thoroughly enjoyed the fabulous course and the ambience of the club. We both played very well. Also on Sunday we played Suwan which was very good. After our stay in NZ we go to Australia before arriving back in Bangkok 9th February (Phuket 10th) and are looking forward to the golf Jim has arranged for us at Loch Palm, Mission Hills, BCCC Lakes and possibly Red Mountain. Will give you some feedback after we have completed the trip. Back to Quebec I am pleased to tell you we enjoyed our holliday. Services of GolfAsian were very fine and always on time. We were very satisfy of the hotel Thara Patong. Concerning the Silver resort hotel, let me tell you that the personnel was very very kind. This hotel is if you ask for the rooms on the Phawadee Village side! We will be happy too make business again with GolfAsian. Thanks and bests things to you. My name is Mohamad. A close friend of mine and 18 other golfers who went on this trip are from Malaysia. We are all members of the Royal Perak Golf Club in Ipoh, to the north of the country. The club was opened over 50 years ago and has the Patronage of the State’s Ruler. I have been a golfer since the late 80s and all the group have played for over 10 years. My handicap is 15 and the rest range from 8 to 18. This was our first trip to Vietnam for our golf because usually we go to Indonesia 2-3 times a year, particularly Jakarta and Surabaya. I booked the package with Golfasian Vietnam and my compact was Mr Dang Khao who was very professional. He was quite able to recommend the best Hotel and courses in Ho Chi Minh City. Though the weather is hot at an average of 36C we didn’t mind as it was similar to what we experience in Malaysia. We were however, struck with the exceptional beauty of the golf courses. The first day we played at Long Thanh Golf Club. It mesmerised us the minute we entered the property as its gorgeous fairways ran alongside the road. Everything was new for us and there was a buzz of excitement. When we arrived at the clubhouse all our members were so impressed; the registration was fast and hassle free especially with the assistance of our guide Mr Tony. We played the Hills and Lake Nines; two very different courses as you can probably tell. The Lake nine was undulating with water hazards on most holes. As all of us are seasoned golfers thankfully not many balls went for a swim. The greens looked very simple but are actually quite treacherous and without the caddies we would have been lost. The tee shots were quite straightforward so the approach to the greens was where the fun started. As we were first timers the caddies were our saviours and advised us the line on which to hit. Most of us scored better on the lake nine. All in all I can highly recommend this course. Second day we played at Twin Doves and our journey was over 1 hour. The club house was open plan which impressed us and after a fast registration we straight went for a 2 tee start. It’s an open course but very challenging in its own way, with many of us scoring doubles. Certainly the caddies were not as helpful as Long Thanh’s. They weren’t as involved in our games and wouldn’t offer advice unless asked. I wouldn’t particularly recommend this course. The Final day was at Tan Son Nhat. This course can be summed up in one word…"phenomenal!" The minute we arrived after a short journey from our hotel, even the Driving Range was beautiful and we knew we were in for a treat. As we pulled up the to the magnificent club house, again there was a buzz of excitement. After another hassle free registration we were off to the first tee; standing there, every one of us knew this was the best course we had played in South East Asia. The tee boxes were immaculate as were the fairways and hazards. Even after 18 gruelling holes from blues so many of us had good stories from the course. The deep bunkers, undulating greens, very knowledgeable male caddies, beautiful scenery, spectacular water hazards…all of us enjoyed Tan Son Nhat the most. Our satisfaction rating on this course is a well-deserved 10/10. We left the course with good memories and will surely return to Tan Son Nhat. Outside of golf, we also had a good time shopping at Ben Thanh day and night market; particularly enjoying the haggling. It was also a pleasure to experience either a foot or body massage with soothed away any aches and pains. Actually, because there is so much to see and do, 4 days / 3 nights is not sufficient in Ho Chi Minh City and 5 nights with 4 rounds of golf and 1 full day site-seeing would be perfect. To sum up we had a wonderful time and were surprised with the city and courses we played. It was beyond our expectations for this third world country. We are sure to come again to VIETNAM and perhaps next time visit Hanoi. The Els Club is our favorite. It has beautiful scenery and the course is well maintained. The staff is excellent. We stayed in Datai for 4 nights. We like the location of the property which is surrounded with forest and it has a private beach. We were very impressed and satisfied with the excellent service. Sokha Angkor in Cambodia the only reason I go to Cambodia. Keep up the great work maybe expand your network to other countries. We have been using Golfasian for the last three years, so they are tried and tested. This must be the sixth time we have used Golf Asian,once again the service was second to none. Never anything to worry about when you book Golf Asian it is stress free. Thanks once again. Was impressed with our trip with Golfasian. The boat ride to Jeongsan Golf CC was a great plus. Although there was a minor hiccup when we are told that anything exceeding 6 hours we need to pay overtime. How to have a game plus lunch in 6 hours?? Boat ride is already 45 minutes. Hope you settled this with the club for future golfers. I wanted to write to let you know we had a fantastic time in Pattaya recently, all thanks to the faultless organisation from yourself and Golfasia. The 6 courses were very good quality, caddies pleasant and knowledgeable, and facilities were excellent. The minibus was always on time to pick us up from the hotel, I can’t stress how important that is to ensure you don’t arrive at the golfcourse either stressed or in a bad mood, and was there waiting for us when we finished the golf and even waited for us to grab a beer (or two) and food. Brilliant. Hotel was also very impressive, the only minor thing was our last night, the 20th May, was Budhas birthday so no drinks anywhere !!! We had to get room service ! Still, we respected their special day and drank in our hotel room. We will watch out for that next time. OK, once again, many thanks for your superb organisation, I know we will all remember much of it for a long time. Here’s to another one in – maybe Vietnam or Cambodia… will be in touch ! Red Mountain, my favourite. Katathong – excellent. Both are "tourist" courses. Blue Canyon Canyon course – a true championship course and good facilities. Dusit D2.Good location. Good service. Clean. Good breakfast. Interior a little dated. Good value however. Sophie was very helpful. Mr Win in Phuket met us and was helpful when we had problems with traffic and tee time. Hannan the driver was very patient. Mark and your team provided outstanding service. Over and above the call of duty. Mark helped us get my wife’s clubs adjusted in Bangkok by Ping and he expedited the bending so we had back in one day – outstanding and thank you. I did not like Lakewood CC, Angkor Golf Course, Danang Golf Club because they weren’t challenging enough. I loved Suwan, Nikanti, Alpine in Bangkok also Phokeetha in Siem Reap and Montgomerie Links, Diamond Bay and Vinpearl Golf. I like courses that are different and have what I call target golf like greens that are in the middle of water. I loved Riva Surya, Sokha Ankgor Hotel, Boutique Hoi An Resort. I like smaller hotels with pools or beach. This is my second trip with you and I am planning a 5 week trip with you in January of. I absolutely love GolfAsian. I will send my request in soon. This time I want to go from Cambodia to Nha Trang and play the courses in Hanoi. I have your Booklet and am looking at courses. Alpine Golf resort was a bit rough but Santiburi Chiang Rai, Summit Green Valley and Chiangmai Highlands were excellent. Le Meridien in Chiang Rai was excellent. De Naga Chiang Mai was good. We had some issues in Chiang Mai with cigarette smoke filtering in one of the rooms late in the evening and early morning. The hotel allows smoking in the garden area in the middle of the hotel and outside the hotel room doors and we believe that was the source of the smoke. We realize that smoking is more a fact of life in Asia so we kind of understood. The breakfasts at the De Naga were OK but not as good as the other hotels we stayed at in Vietnam and Chiang Rai. The Operations team that we met in Thailand were excellent – highly responsive and courteous – a pleasure to do business with. Adherence to a well document itinerary was flawless and commendable. Service and assistance by your drivers at the courses was most comforting. All courses were good but may be Pal Hills a little bit below the others. Ranking for us is: 1 Black Mountain, 2 Banyan, 3 Springfeild and Sea Pines, 5 Pal Hills. We stay at Centara Hua Hin and the hotel was just perfect. When we check in the gave us the room 297 which is close to the street and a bit noisy we required to move in a better room and the gave us the next day the room 059 which was perfect, sea view, very quiet. All services provided by the hotel were perfect. A great hank to all the staff for his kindless. We used to come to Thailand with another golf tour operator and we really appreciated our choice for Golfasian. Liked Black Mountain, Banyan and Springfield Royal because they were new to me. Black Mountain was spectacular, Banyan was different and Springfield was well designed and similar to my home club layout in that each hole was quite separate from the others. Baan Nilrath was very central and quite adequate for our needs. Lovely people running the hotel. Just thanks for covering everything from car pickup to advice on which clubs to play at to the convenience of the hotel we stayed at. Thank you for a very memorable trip you offered to my dad and myself. We are very satisfied overall and will certainly recommend your services and use them ourselves again in the future. We apologise for our endless questions in the booking phase and appreciate your patience you carried through with our questions and concerns. We would recommend the vouchers to be sent out a little sooner than within one week of traveling. My dad was getting a bit nervous as we were promised to receive them three weeks prior to traveling but overall it worked out very well even though a minor mistake was made with one of the vouchers (date), and sending it to a wrong email address. Small thing that we were not bothered by 🙂 Overall Thanita did a great job helping us out and did a good job delivering everything. Special mention has to be made to our main driver Tom: He took customer service to a whole new level by showing us a local food court where we had an amazing local style dinner together with his family. This was a very special night for us and we are forever thankful for him. One of our funny highlights was him forgetting our shoes in his car when he dropped us off to Black Mountain and this is certainly something we were not bothered by at all. Please send him greetings from us. Concerning the pick up service by your drivers: I would clarify that sooner to avoid misunderstandings. For us this was not a problem as we found the reception to deliver the pick up very quickly, but you should mention that at an earlier stage 🙂 I would also advice you to let your future customers know about the culture concerning the golf bags. After we played an extra round at Black Mountain we ended up staying upstairs at the restaurant for quite a while. When we went downstairs it appeared that our caddies had been waiting for us for 3 hours. We felt awful and obviously paid them extra tip. But it would be helpful if you let Black Mountain or your customers directly know that this is the case. It was not an issue to leave our bags outside while we took showers and enjoyed a few drinks at the club. I’m pretty sure that sums it all up for us. As we said already we are very happy the way everything worked out for us 🙂 We are very satisfied overall and for sure will be back in Thailand in the upcoming year. We will certainly recommend your services to anyone who is interested in golfing in South – East Asia. Thank you! Thai Country Club was excellent!! Lum Luk Ka was very good on its own, but lacking a bit when compared to courses like Thai CC. Sofitel Bangkok Sukhumvit – very good service in convenient location. Buffet breakfast, while good, could do with a change in variety every few days. Thank you for arranging a very enjoyable Golf Vacation! Enjoyed both Black Mountain and Banyan in Hua Hin – starting to prefer Banyan as better golfing experience. Centara Grand Hua Hin – always excellent and same this time – will definitely return. The golf concierge staff at the Centara were excellent as always – great personalised service. Our driver in Hua Hin (Tom) was outstanding and took very good care of us every day. It was a pleasure to spend time with him and also a special thanks to Ian who took time out to come and say hello personally. (In BKK we had different drivers / cars each day which meant unloading / reloading the golf bags. Not a big deal at all, but prefer to retain the same driver / car if possible.). Another special thank you for Ian’s flexibility in accepting late payment in Hua Hin. Liked Alpine, Nikanti and Riverdale. Did not like Royal Gems. Staff were very good, especially the van driver Ake. Banyan. Superb condition and a very interesting course lay out / set up Black Mountain. While perfectly manicured, the course design of playing up and down a mountain slope was our favourite. Springfield. Less well watered than Banyan and Black Mountain and not as manicured, the course layout / design was superb. Sea Pines. The course didn’t have the space of other courses so it was a bit shorter but was still ok. Drivers were always on time and courteous. We would like to return to Hua Hin and would use you again. We have been going to Chiangmai for four times, we repeat always the same thing: Royal Chiangmai is a beautiful course nature wise, but the management is so-so. Highland is the best, but we all know, and Mei Jo also quite nice. I have to say that everything was great, Sophie kept me unto date if there was any changes to my schedule, transfers from and to the airports and hotels was never an issue and the drivers were always early.Service levels at the hotels was of a very high standard.I just had a great experience overall. It was the 2nd time I booked with you- congratulation to your team- was perfect organized from the beginning of booking, your choice of courses to the shuttle services- always on time and friendly WE will come again Thank you very much. We really appreciate your Hanoi manager’s (Miss. Bui Viet Ha) help, cooperation and kindness. Please give our best regards and many thanks to her!! Many thanks for your smooth arrangements for our maiden visit to Chiangmai. There were no hiccups at all. We enjoyed our accommodation, golf, food, tours and great service from your Golfasian staff, esp Vichit and Chenn. I will certainly contact you for our future holidays. All safely back in Australia and unfortunately back at work. Thank you for organising such a great trip – went like clock-work. Have already had discussions re next year, so will contact you in the new year with our thoughts and would like to know your thoughts. Again, thank you to you and your staff. Amazing service, have now used in Thailand and Bali and both excellent. We made a few changes and had a lost set of golf clubs and the service was always over and above our expectations. Have and will recommend to anyone. We played four courses. Laguna Phuet, Blue Canyon Golf Club, Loch Palm & Red Mountain. All were excellent. All organised and ready for us when we arrived. The service was faultless. On our first game we were met by the Golfasian rep who knew our plans for the week. Very impressed. Outrigger Laguna Phuket Beach Resort. Excellent. The staff went above and beyond to make us welcome. After 10 days at the resort we felt like part of the family. The position was wonderful and the beach beautiful. White sand and lovely clean water. It’s one of the few places we have visited in Asia where we have swum in the ocean in preference to the pools. The staff at the front desk had our golf clubs out and ready for the driver each day we played. The breakfasts were fantastic and we had most of our meals in the resort or at other hotels across the lagoon.The holiday went without a hitch and they very generously extended us a late check-out to 7pm the evening we left. What more could you ask!! I have been asked about our holiday by several members at my golf club and have no hesitation in recommending Golfasian to them. We would like to do a golf holiday to Vietnam and would have no hesitation in contacting you again. We are back home again from what was a memorable golfing holiday. I want to thank you for the excellent service that GolfAsian provided throughout with so much attention it was an absolute pleasure trip. I did not improve my handicap but it was fun playing on the many courses. I will certainly return again to play golf in Hua Hin. Smooth and seamless organisation of the trip, including bookings, transportation etc. Flexibility to changes. Thanks a lot for making our holidays a great golfing experience and we are looking forward to the next holiday with Golfasian! Overall our experience with Golfasian was exceptional. Drivers were always on time. Troy was very easy to deal with and provided additional assistance when requested. Bee was also very helpful. All people involved with Golfasian went out of their way to provide us with assistance which made our overall holiday a great experience. Definitely would recommend Golfasian to other travellers. I live in Australia so I did a Google search and Golfasian came up, I read website and all looked good. This was the first time I had travelled overseas to play golf, so was reliant upon the service given which was faultless. Banyan was by far the best course we played on, Black Mountain did not really meet our expectations, but was still a good course. Centara in Hua Hin, a great hotel with great facilities, I liked the peace and quite and was able to watch the sun set at night with my partner, as she did not play golf she enjoyed this time together. Whole trip was planned faultlessly, Golfasian should be very proud of all that they did, thank you for such a high quality service. Not only price but the important thing GOLF. Golfasian was recommended by a friend who informed me that as they are golfers they were there to please! Look war started our golfing journey at Sea Hua Hin and we thought this was as good as home then Springfield, then Banyan and finally Black Mountain and each course just got better I was like a dog with two tails I didn’t know which one to wag first!!!! My wife and I stayed at the Amari, what a gem. Not right in town but close enough the staff were unbelievable so helpful and courteous. It is my intention to travel again on golf holidays and the first and only group I’ll be going to is Golfasian. The drivers were on time the courses great the Hotel top notch what more could I ask for. Terrific support and coordination by Golf Asia. Timely, responsive, professional and courteous. Able to respond to changes during the program – very flexible. Great coordination and support all the way around. Already planning to use them again – repeatedly. This is our 4th trip through Golfasian and we will be doing another trip to Hua Hin next year thru Golfasian. Everything goes really smoothly, airport pickups are on time, golf transfers are the same and it is an enjoyable experience overall. The company is a joy to deal with. Our sales rep, Fai, was excellent throughout. 3rd trip through Golfasian and no problems with all! Recommend highly, good drivers prompt pick up and all organised well. I have had 4 golf holidays with Golfasian in 2 years. Including courses are Chiang Mai, BKK, Korat and Hua Hin. I would recommend Golfasian to anyone. Superb staff. Black Mt and Banyan were superb. Springfield also excellent. Sea Pines not in same class re amenities but an interesting course which could be upgraded. All in all the organisation and service was first class. As a first time traveller with Golfasian, This trip was well above what I expected. A special thanks to Mark Penfold in the way he made me feel so welcome, it put me at ease with everyone else. Tip also was exceptional in her organisation and help. This was a perfect trip in my eyes. I have already booked for the Masters at Hua Hin in May. Enjoyed Black Mountain and Banyan but had played both previously so knew what to expect. Centara Grand Hua Hin 5th time at hotel and will be staying again during Christmas week so happy with it. Just keep doing what you are doing and addition of golf desk at hotel (with excellent staff) is very welcome. We liked all the courses but especially the course at Siam Country Club and St Andrews 2000. All the courses were a great challenge but the courses stated were a cut above in presentation and facilities. Centara Pattaya – Central hotel with good facilities and an excellent staff. The manager was very helpful and with the rooms being large and spacious we thoroughly enjoyed the hotel. We could not fault the service provided. Every transfer was on time and the drivers we had could not have been more helpful. I will definitely using Golfasian again. From overcast grey leaden skyed England. I have been home for a few days now. I would like to take this opportunity to thank all the staff at Golfasian in particular Rocky. Fai (Hua Hin office ) and the young man who took me to Korat and back. I think his name was Game? And yourself. I was thrilled to meet you and enjoyed your company very much.If it is possible for me to return (I hope so as I am missing Hua Hin already!) Next year maybe we could have a game together? Thanks to you and Golfasian I can’t fault you. It’s a first class operation. Take it steady. See you ASAP. I would like to give my sincere thanks to Ian for organising the Hua Hin golf trip for us. I am very happy with his excellent service from the start of planning the trip to the end of our trip. Ian always attended my emails and enquiries as quick as he could even if he was overseas. I was very surprised and excited to meet him at the golf course after the game. He wanted to make sure everything was ok and he was very lovely to chat with. Thanks Ian for organising a very enjoyable trip for us. Thanks for the perfect organization and we had a lot of fun.. By now, I can speak fluent…Australian. I hope to see you again next year and don’t hesitate to send me your other organizations. In the meantime, I completed the Golfathon in Mission Hills ( 10 courses in 5 days) A bit more brutal that 4 golf days in Danang..
You should consider a serious tour in Mission Hills China. Quite amazing golf, first class hotel and food and well organized. Having just returned to Australia myself, Phillip, Gary and Rodger would like to thank you and your staff for giving us the best holiday we have ever had. The perfectionist of each one of your staff is a credit to your company. We as a group had the best time playing golf and we thank you. You will hear from us for our next golfing adventure. Please thank all your staff for us, we loved it. Special thanks to Lit and our driver in KL Jefry, punctual and extremely helpful and accommodating. All the Golfasian staff I came in contact with from the drivers to the girls in the office who sorted out a minor problem were fun to be around and all made my trip a pleasure and I just happened to play my best golf for many years. I am already planning to make a stop over on the way to Europe around May next year. Once again many thanks to all your team. Just sending you an email to thank you for organising our golf holiday to Pattaya. 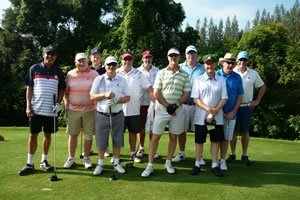 We had a great time and it was made a lot easier with everything being organised by Golf Asian, the courses were magnificent and the accommodation was great. We will definitely be using your company again as well as recommending you to our friends. The only disappointing thing was that we weren’t there for long enough and will be extending our trip next year. Once again thank you and we look forward to organising another holiday with you next year.